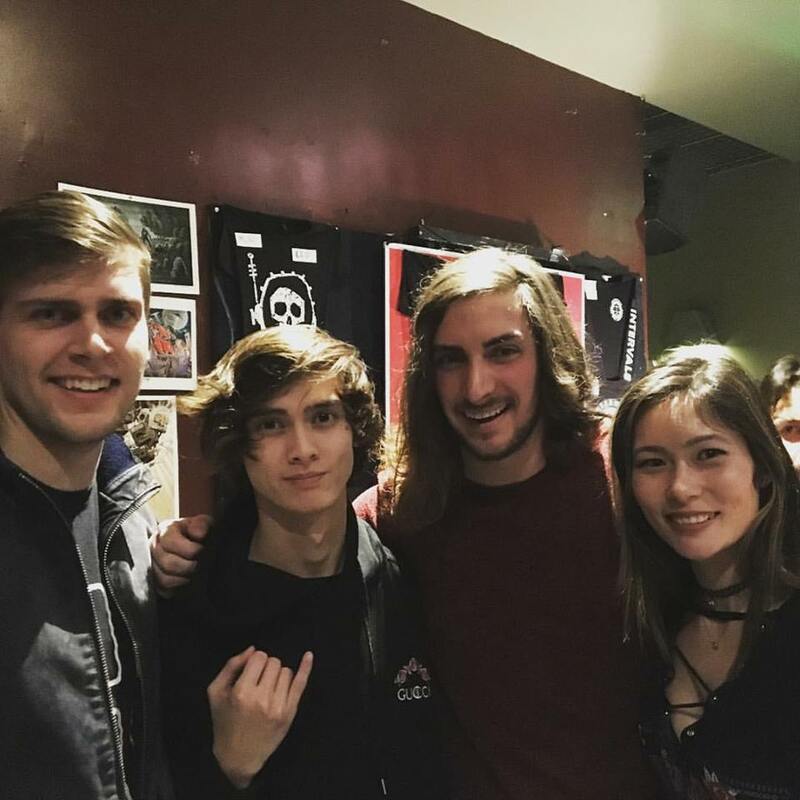 Last night a few of the team at Guitar Tuition East London went to see a great band called Polyphia. They were playing at the O2 Islington and alongside some other amazing musicians. (Nick Johnston and Intervals). We were there to see Polyphia – they were what we were looking forward to for this particular show. Because one of the team is a big fan of Polyphia. The two guitar players, Tim and Scott are incredible musicians. They have managed to make some shreddy fast guitar playing popular. It looked like a sell-out gig – the venue was choc-a-bloc. We arrived a bit early and the queue was MASSIVE. Stretched around the block. I’m not used to seeing so many people for a guitar gig. It was full of young people too, probably 18-22 for most of them. By the time we actually got into the venue we had missed Nick Johnston. Which is a shame since he is a fantastic guitar player. Fortunately, that meant that the band we had come to see, Polyphia were on next. We only had to wait about 5 minutes to see them. (For anyone going to O2, there is a mezzanine upstairs that you can get a great view from if you can’t get to the front.) The bass player Clay Gober and Drummer Clay Aeschliman came out to do their own line checks. While the guitar players had a tech come on and test out their equipment for them. After a short line check, they were on and playing. It’s the first night of their European tour and the sound was great. The most impressive part to me was the guitar playing. Their phrasing is awesome. They use a lot of legato playing (hammer ons and pull offs) and they also use a lot of “slide vibrato”. Instead of bending a note for vibrato, you slide up and down a tone, or semitone on the guitar to give the same effect. For instance, instead of bending your vibrato between a C to a D note. (Fret 5 on the 3rd string to fret 7 on the 3rd string). You can get an amazing sound by sliding back and forth quickly instead. It takes a lot of control to make sure you don’t overshoot when doing slide vibrato. Practising it slowly is essential for getting it perfect. When you get it up to speed it will sound amazing. This is all about making a smooth sound while you play the guitar. Hammer ons and pull offs are typically what people think of when you are working on legato for the guitar. They have got it to such an amazing level where it is really fast while they play – and incredibly clean. There is a lot of power going into the guitar while they do legato playing, but with minimal effort. How can they play so fast, but look so effortless? While watching them play, it was not only their great guitar playing that stood out to me. Or how tight they were as a band, or how well they nailed their playing from the records. The biggest thing I noticed was how little tension they played with. How small the amount of movement in their hands was when they were playing. Tim and Scott’s shoulders were very relaxed. Their fingers were gliding smoothly across the strings. Now mid playing stop… and hold that position. Are your shoulders completely relaxed? The same as if there was no guitar in your hands. That’s pretty normal. And it takes quite a lot of training to get to the stage where you can do things with minimal tension in your body. The benefits are incredible once you start removing some of that tension. You’ll find that you can play the guitar for longer. You can play the guitar faster. And with must more ease than before. 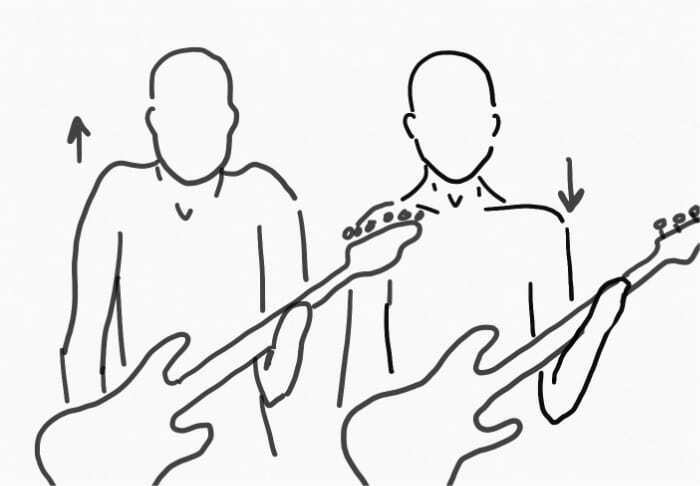 This will help fix a lot of those back and shoulder problems that guitar players have and can develop over time. If you are already experiencing back or shoulder pain. Or want help working on posture and technique in your guitar playing. Fill in our contact form to find out how we can help you further.